Beautiful voice, great song, solid backing. Super-well produced, backed and sung, a pop-rock gem. 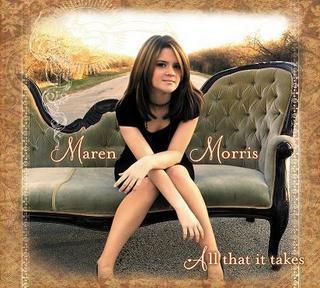 Maren Morris have a clean full sound, reminds me a little of Alanis Morrisette, with a bigger production, highly recomended for your next party or with a glass of good wine. Lyrically and musically well-written. Pro sound with great vocal range and styling, this song was an early indicator of success to come. Maren's new album "Hero" just dropped June 3, and the single, "My Church" (which is not about conventional church!) is a smash hit.